Some species in Family Coreidae, including the Clown Bugs, have their hind legs expanded and somewhat leaf-like, and some of them are commonly called Leaf Footed Bugs. The bugs cannot jump like grasshoppers. They do not use their legs to catch other insects like preying mantids. Their legs seems not effective as a defence weapon. Why the bugs have their strong hind legs? 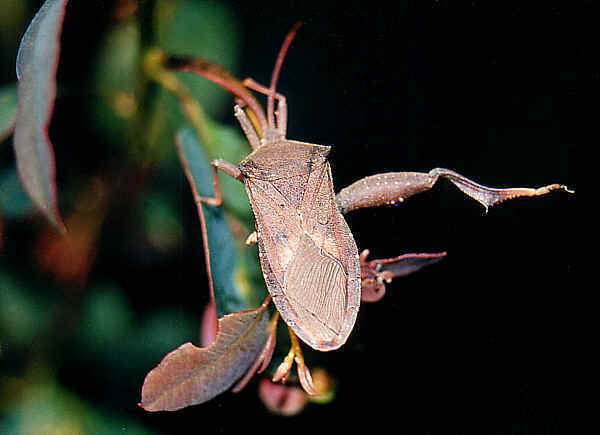 We sometimes found the male bugs standing on the top of a small plant with one hind leg extended. 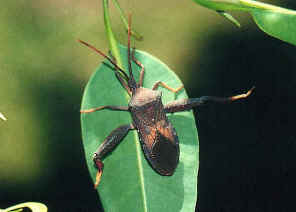 In the second pictures, one of the the bug's hind leg is missing. It did not change it posture even we disturbed.